Mrs. Fernandez: Things that matter are hard. Pete: Now I know where Brenda gets her inspiring speech thing. Some people are obsessed with their crazy politics!!! 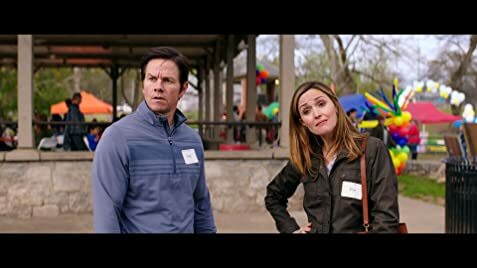 I just got back from seeing Instant Family with my daughter and we both really liked it. Truthfully it is a very sweet feel good move about Foster parenting and adoption. I wasn't going to write a review but I read one review particular that just blew me away with its stupidity. It claims that this film is a bunch of Pro-Trump propaganda!!!! That couldn't be further from the truth. It is a very funny endearing film. It is about a couple that decide to be Foster parents and bring home 3 kids, yes they are Hispanic. The film deals mostly comedically with situation, but also has some heartfelt drama. It is as light as feather and very enjoyable. For someone to see this film as anything but what is, a heartwarming family comedy is beyond me. BTW I am Hispanic and there is NOTHING offensive about this film. 199 of 232 people found this review helpful. Was this review helpful to you?